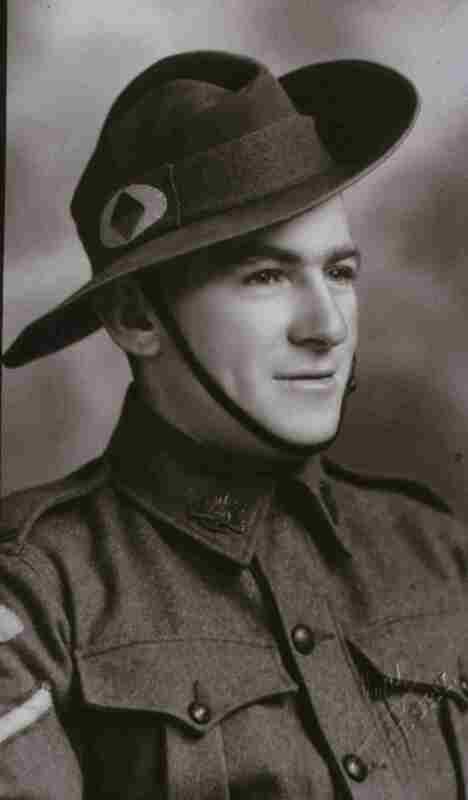 Albert enlisted in the Army at Caulfield on 24 June 1940, aged 21 years. He went for training in Bendigo, the transferred to Bonegilla for more training (At Bonegilla he would have had a chance to catch up with his family, who were then at Huon, only a few miles away). On 3rd of May 1941 he embarked for Rabaul. Upon the Japanese invasion he was taken prisoner after spending some time hiding in the caves in the area. On 28 April 1942 Albert was reported to be a POW. His record states that he was on the Montevideo Maru, and presumed dead. The Montevideo Maru was a Japanese ship transferring prisoners to Japan which was sunk by am American submarine in the early hours of 1 July 1942 . 1058 Australians went down with the ship. Solitary ships on both sides often traveled at night hoping to avoid submarines. There was no way the American submarine could have known the ship was carrying POWs. The Japanese did not notify such ship movements..Relatives were not notified of the Men's fate until an announcement by the Deputy Prime Minister in October 1945. Rumors circulated after the war that the missing men were not on the ship, but were taken into the jungle near Rabaul and massacred, and that the Japanese used the Montevideo Maru story to cover up the atrocity. Exhaustive enquires were made but no evidence was ever found to give them any credence. It is known that the Japanese did attemt to cover up atrocities such as at Sandakan, but in these cases, much evidence was found.. These days these conspiracy theroies are alive and well on the internet. Source for the above comments is a book "Heroes at Sea" by Don Wall. Fred Mitchell (Ernest Mitchell's son) and Jenny (Fred's daughter), but also Bob Mitchell .